After painting a few of his Prussian Empire miniatures for Dystopian Wars, Jeff decided to ask me for some help. So he gave me the rest of his minis and I tried to copy his design. 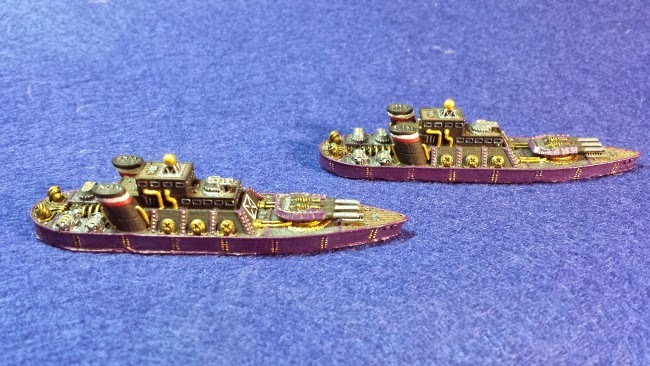 The first ships I painted were the Reiver Class Cruisers. Jeff had already painted one, which left two for me to finish. 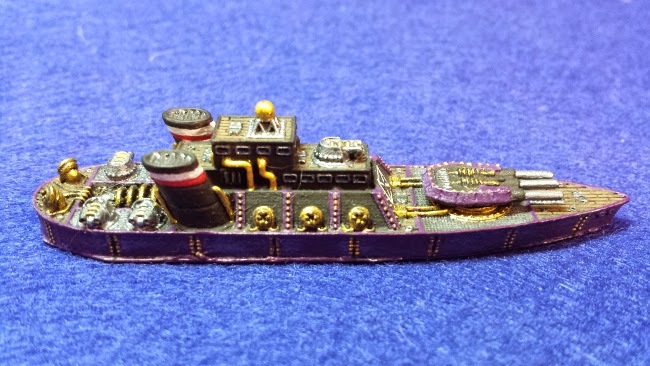 I used darker colours then Jeff did, and tried to highlight some of the vessel's interesting features. Like all Prussian vessels, the Reiver Class Cruisers make heavy use of Tesla coils, which continue to operate at peak efficiency even when the ship is badly damaged.